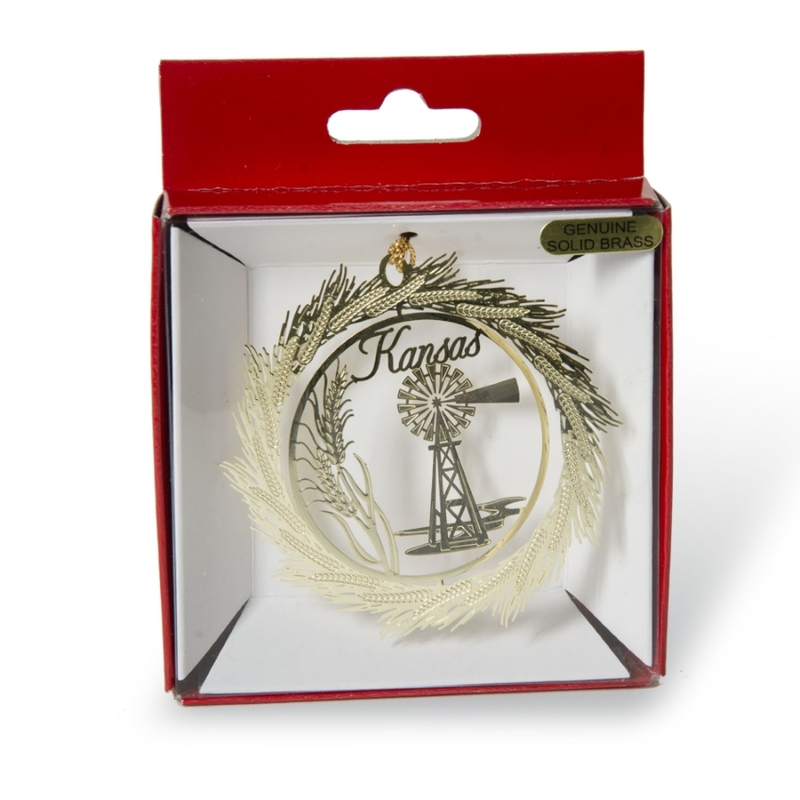 This collectible brass ornament depicts the beauty of Kansas along with the state symbols. The ornament shows an iconic windmill of the prairie, along with the state’s most important crop, wheat. The design is encircled by a wheat wreath.